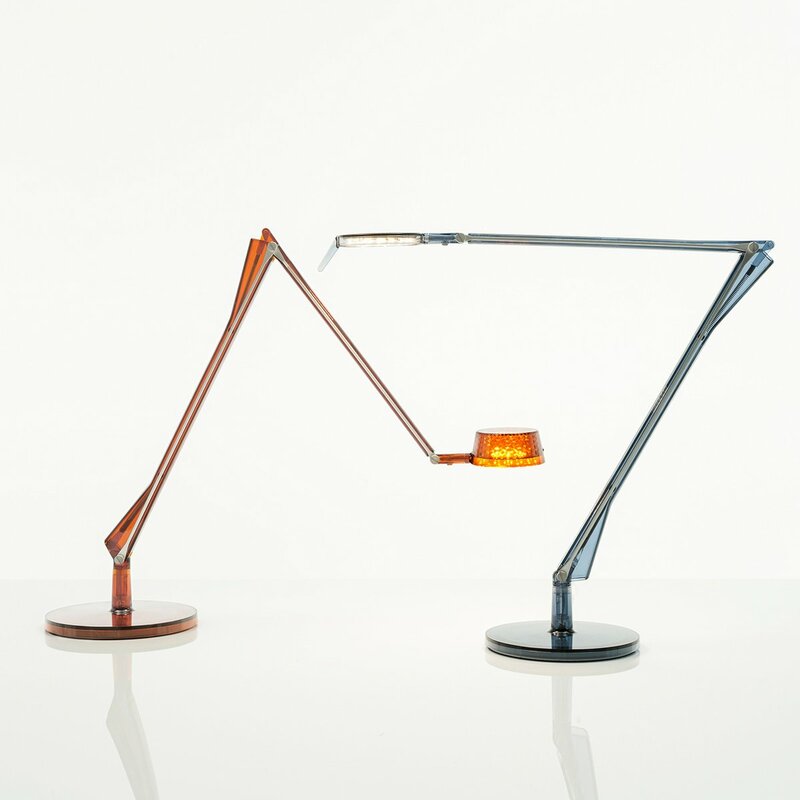 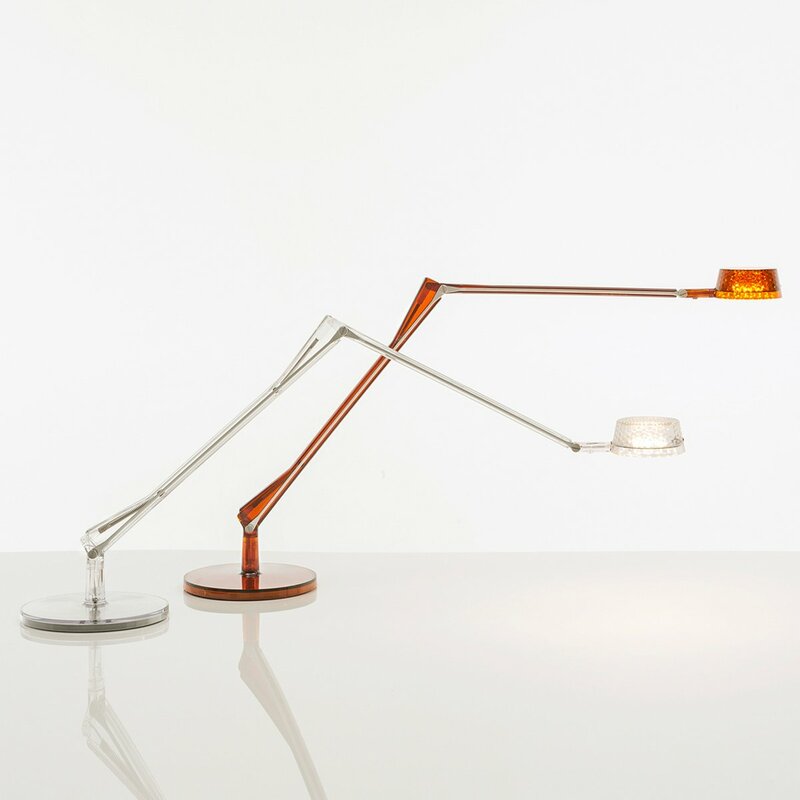 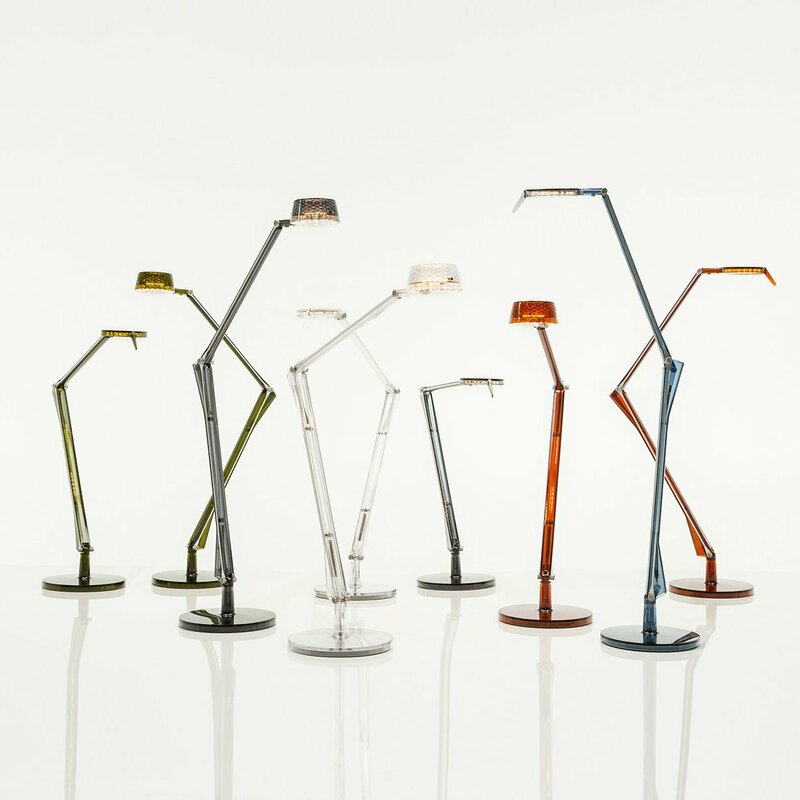 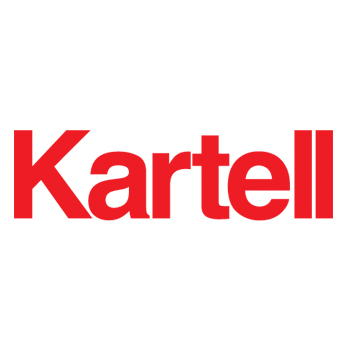 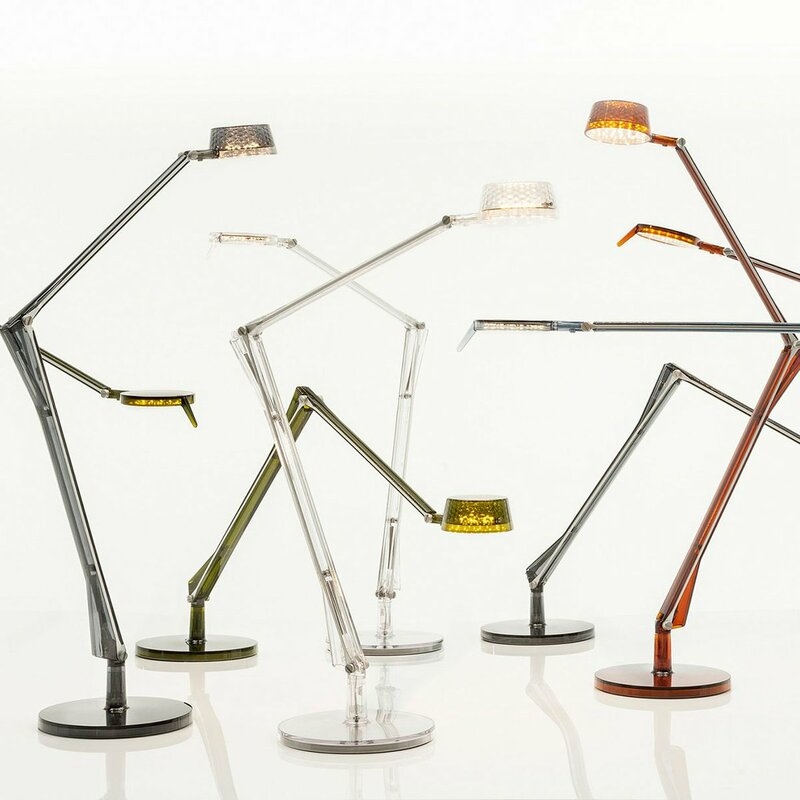 Aledin Dec is a table lamp designed by Alberto and Francesco Meda for Kartell. 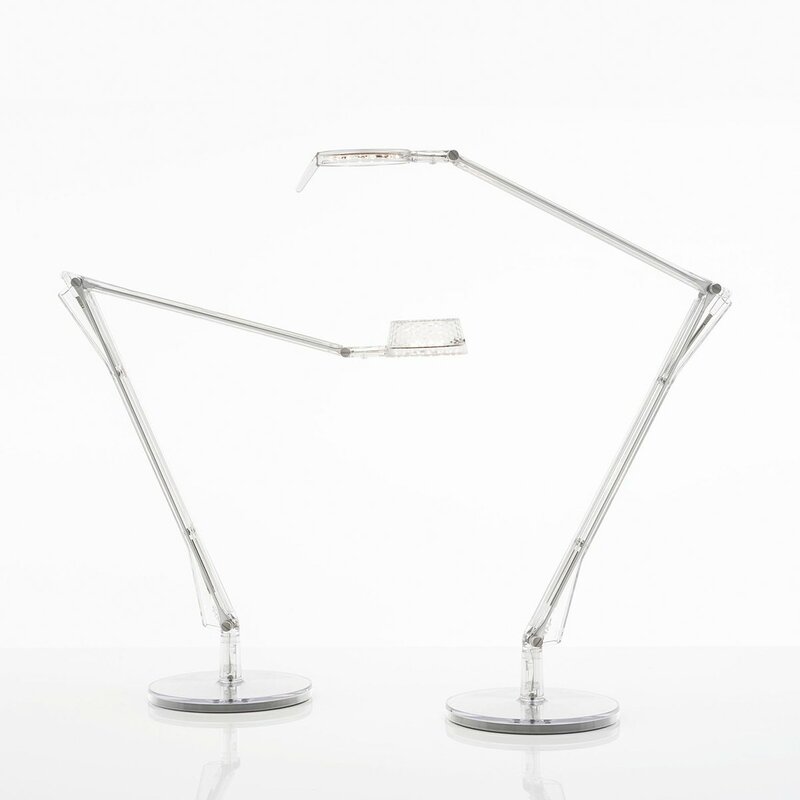 Aledin Dec consists of two articulated arms, made of polycarbonate, and two aluminum slats that serve as conductors, instead of wire. 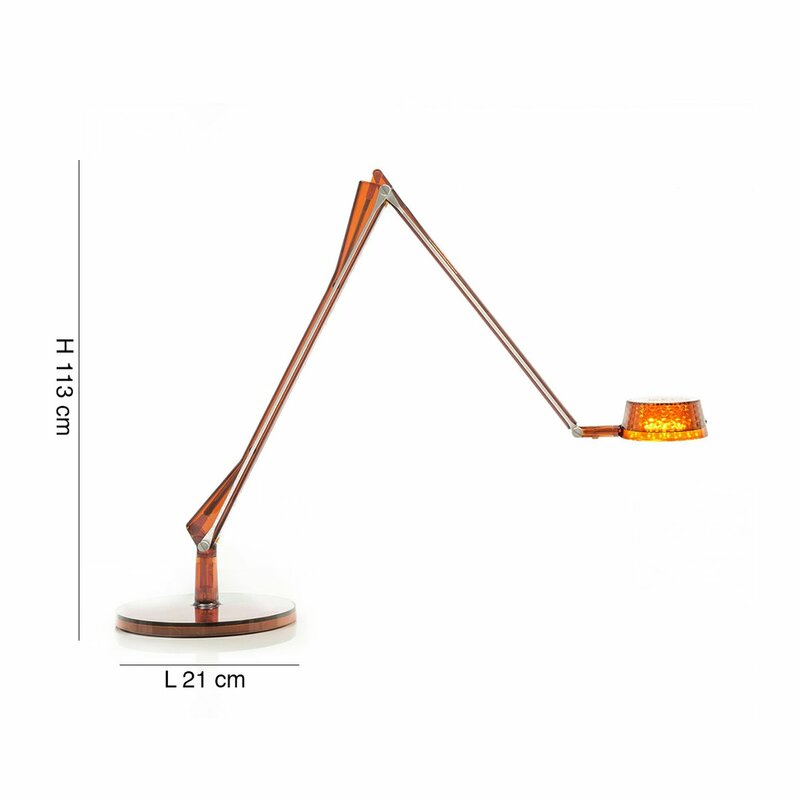 Aledin Dec is distinguished by its faceted decoration of the cone diffuser. 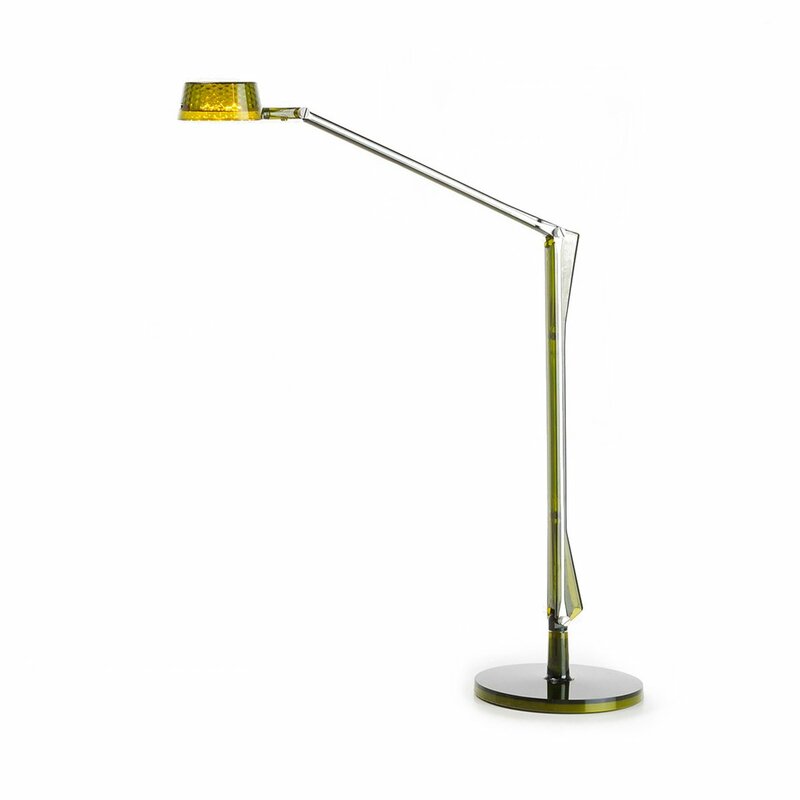 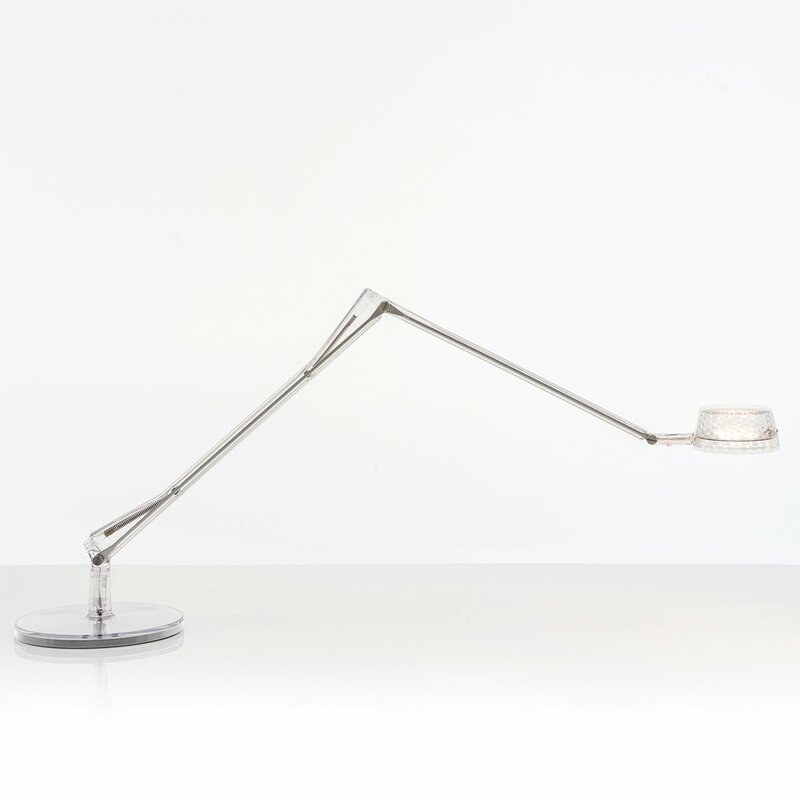 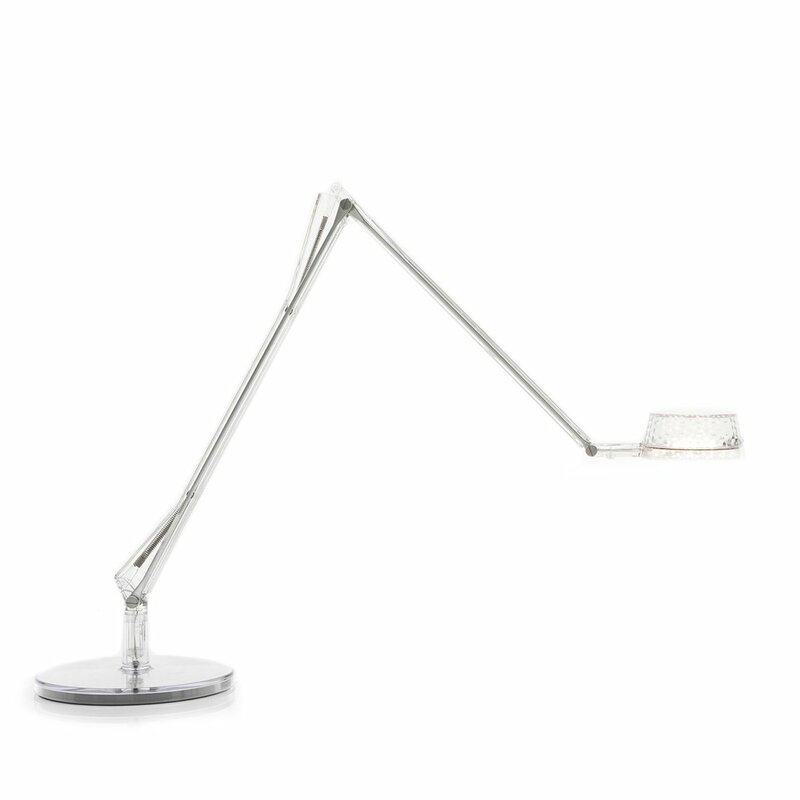 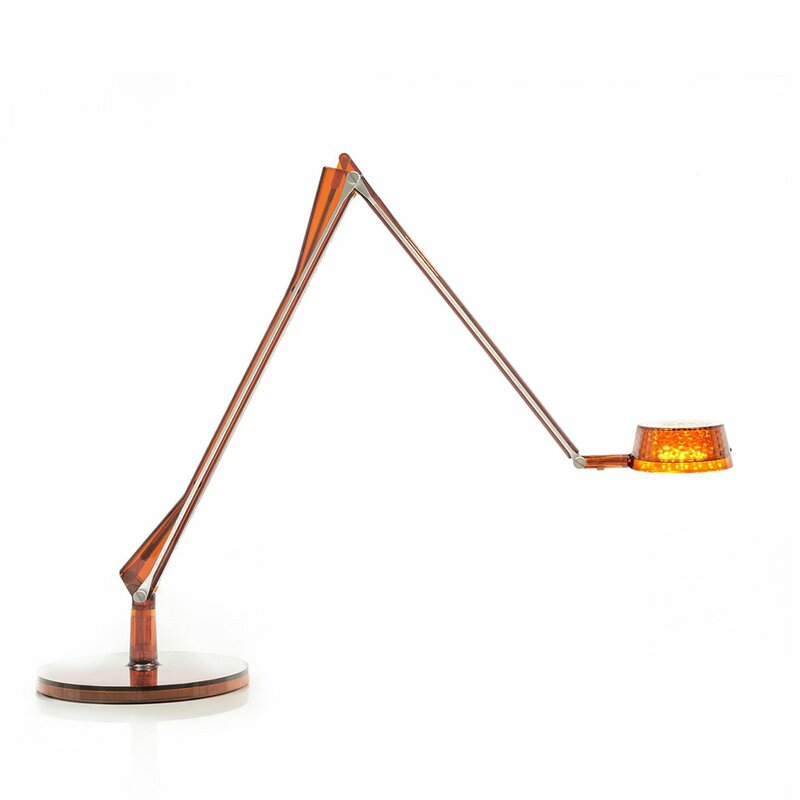 The light beam is therefore wider and more evocative, ideal to be placed in the living room or on a desk. 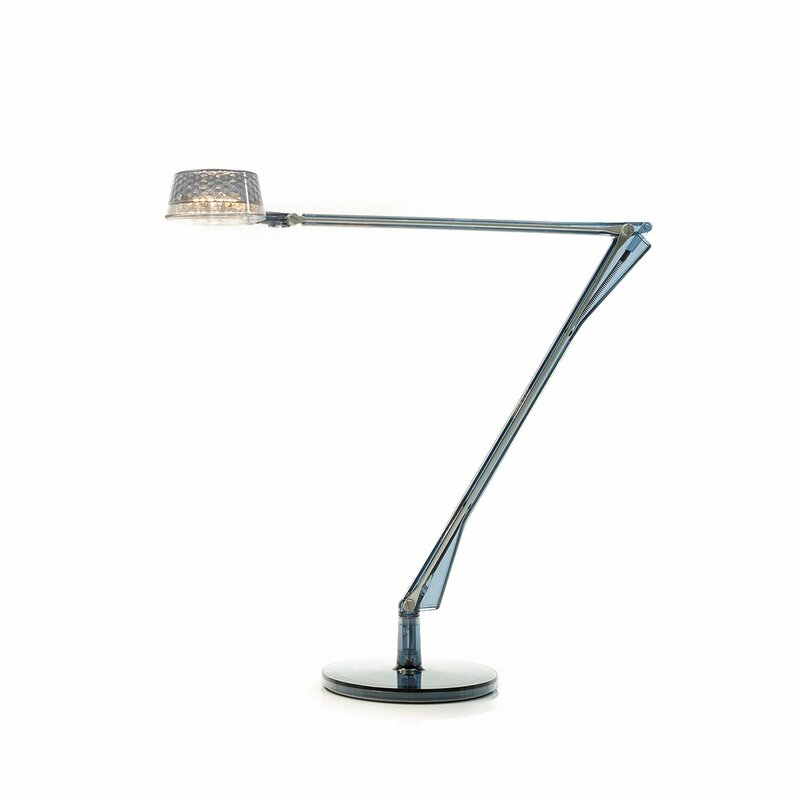 Technical information: the lamp has a high luminous efficiency, about 600lm with a power of 5.6W, which allows a strong energy saving thanks to LEDs of the latest generation. 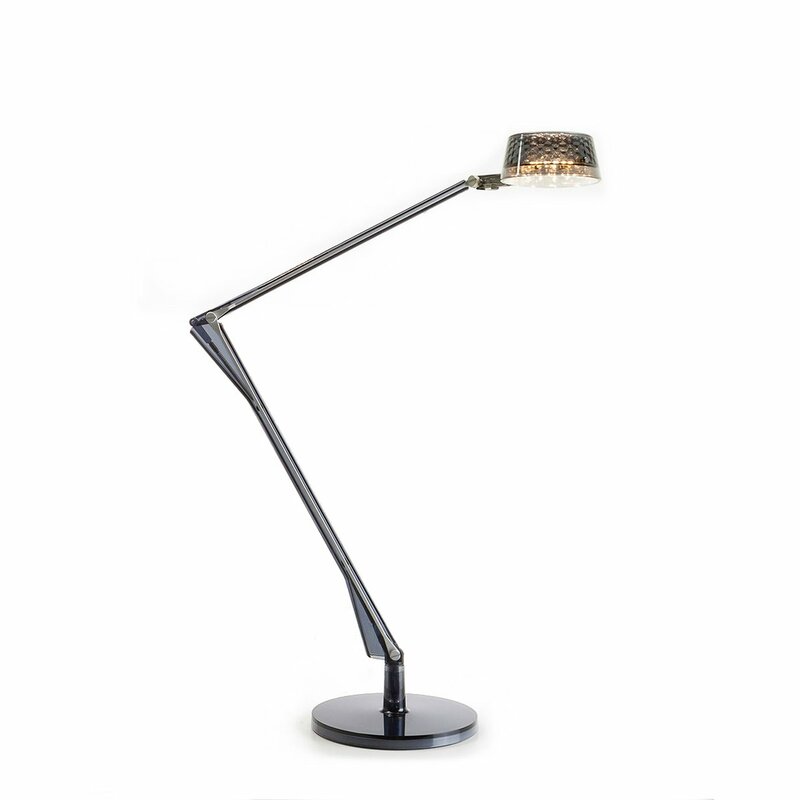 The lamp is dimmable.